We’ve been working hard on different designs and ideas for the laser machine. Our clients have brought us great ideas that we’re helping them take to market. 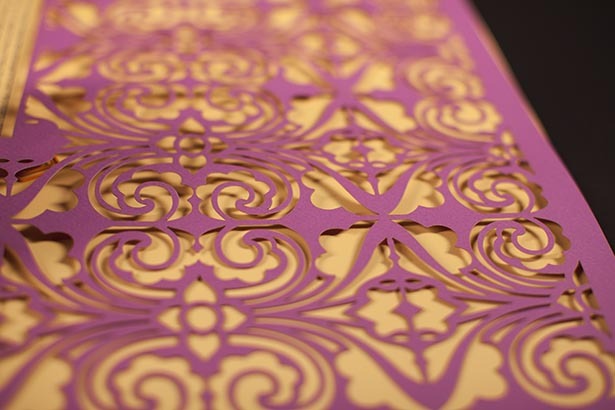 Everything from wedding invitations, to lasercut Ketubah (wedding certificates) and paper cut art. We’re finally really getting the hang of using the laser cutter for artistic applications. This is a house we made with the laser cutter. 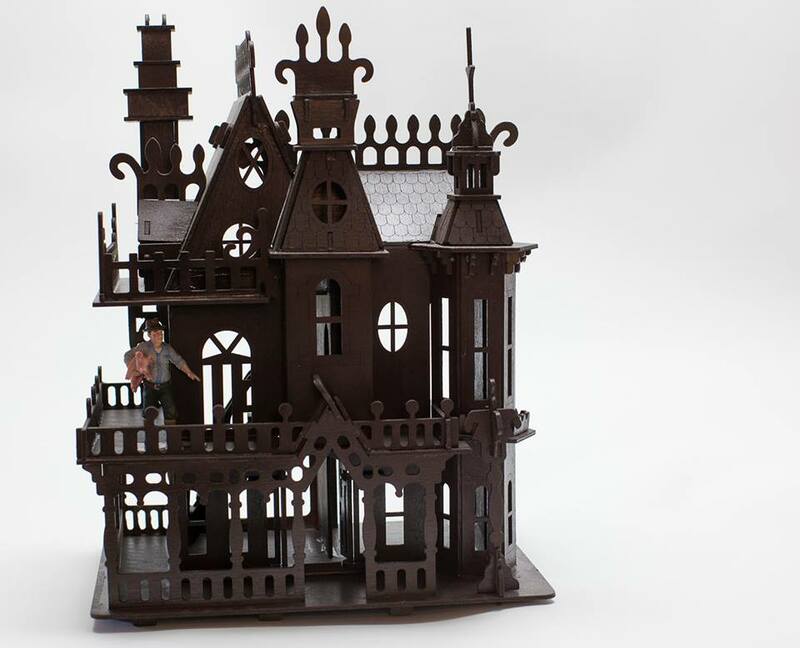 We downloaded a pattern for a gothic house and then cut out all the pieces. It took three sheets of 1/8″ birch @ 24″x36″. We then painted the pieces and put it together.